Bhuj has what is probably Asia's biggest crafts museum and learning centre - Shrujan LLDC. 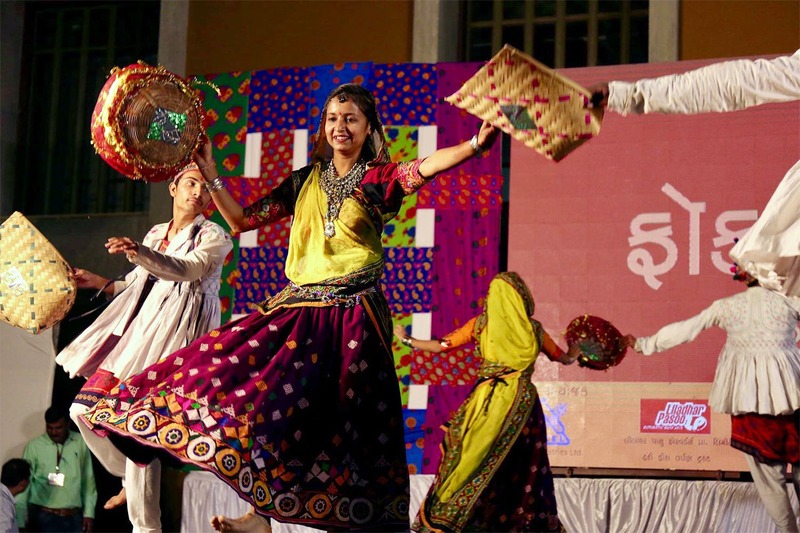 And they hold a folk festival every year that showcases the best of folk music and dance of the Kutch region. The festival is held inside one of Asia's biggest crafts museum and learning centres. So you get to experience a folk festival and check out the story behind world famous Kutch embroidery. If you have not made any winter vacay plans yet, we would suggest that you take a trip down to Kutch for the Shrujan four-day folk festival that showcases the art and culture of this region. At the LLDC Festival held in January-February, you can try your hands at various heritage handcrafts, snack on the choicest appetisers and watch local dancers and musicians perform. What sets the fest apart are the people behind it. It is organised by Shrujan, a not-for-profit organisation working with craftswomen in Kutch to revitalise the ancient craft of hand embroidery. It was set up in 1969 by Chanda Shroff, a well-known crafts visionary, to sustain the work of Kutch’s craftswomen. The LLDC, by the way, stands for Living and Learning Design Centre - a recently constructed massive complex in Bhuj that houses what is perhaps India’s biggest crafts museum, showcasing the embroidery work of 12 communities of Kutch. The fest is held inside the complex. The LLDC museum is a must-visit with a jaw-dropping showcasing a variety of crafts, from textiles to pottery, metal, wood and stone. You can also try your hand at creating something at the various craft workshops that are held along with the festival. They have an excellent in-house canteen that serves local fare such as millet rotis with local ghee made from Gir cows, the sweetish Gujarati dal, dhokla and chhaas. Don't miss a trip down to the Rann of Kutch. Just a couple of hours away, it makes you fee like you are on a lunar landscape.